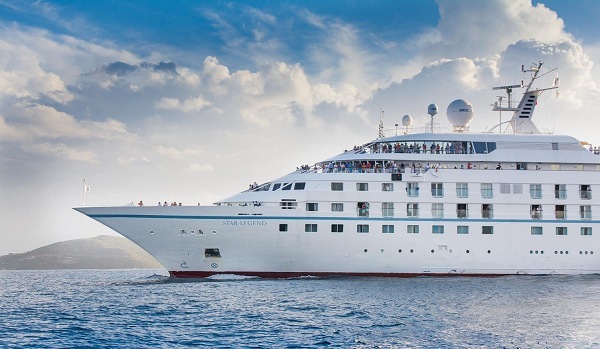 The Best Windstar Cruises Sale Ever! Right now is the time to book an extraordinary vacation with fantastic savings during Windstar’s Summer One Week Sale. Choose from more than 125 off-the-beaten-path adventures that get you closer to the world aboard one of their elegant small ships. Point your bow where the larger ships can’t go and allow Windstar to take you to both the must-see sights like the Vatican, Halong Bay and Bora Bora. Paddleboard the beautiful sapphire waters of Tahiti. Stroll the squares and old town alleyways across Europe. Watch the Panama Canal’s massive locks open from the deck. Tour the buried city on Montserrat – the Caribbean’s Pompeii. And witness the ravishing lighthouse-studded coastline of Canada & New England. Take a stroll along the bustling streets of Singapore, walk the alabaster-sand beaches on Bali and marvel at the breathtaking Komodo dragons of Indonesia. Explore the Mediterranean’s most charming and historic destinations, then discover the trendy capital and beaches of Croatia in one incomparable voyage. This is the Alaska you came to see: Frontier towns and Tlingit totem poles. Glaciers calving into majestic fjords. Brown bears, bald eagles, and whales!. No matter what destination beckons you, the local flavor of the culture is deliciously captured when you dine onboard your Windstar ship. Fresh, local ingredients — often selected by your ship’s chef on a trip to the local market — along with seasonal produce and culinary ingenuity, go into each perfectly presented dish. And naturally, you have a choice of venues to dine in, all with open seating. A day on board your Windstar yacht is a day of choices, all of them good. Perhaps you’ll begin with a relaxing massage in WindSpa. Or maybe an invigorating workout in the Fitness Center. Even better, why not both? After a sumptuous lunch in Veranda, make a splash from the Watersports Platform off the yacht’s stern. 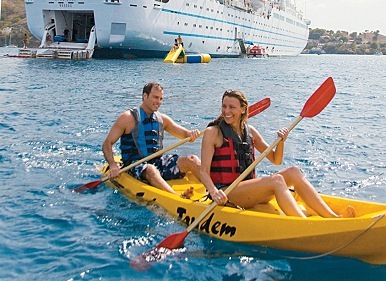 Everything you can think of for fun in the water is there — swimming, kayaking, sail-boarding, even water skiing. And it’s all complimentary, of course. Sun yourself on deck, take a dip in the whirlpool, then catch up on email or grab a DVD for your stateroom or suite in the Library. After dinner, try your luck in the Casino and dance to live music in the Lounge. This is your yacht, so of course you’re welcome on the Bridge, where the Captain and officers are delighted to share charts, routes, and vistas with you. Plan a vacation that’s 180 degrees from ordinary. But hurry, you must book by July 12 for these limited time only savings. To save thousands on a Windstar cruise, call Susan Rogers in our Vacations Department today! You can reach her at (678) 420-2510 or email her at vacations@teplis.com. Susan can lock in your savings and help you with flights to your destination. Just don’t miss the deadline!